The first page introduces the concepts that will be explored in the session. 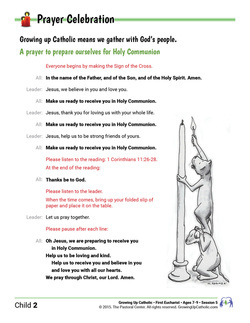 The second part of each session is a prayer celebration, which includes a Scripture reading, a short homily by the catechist (full speaking points are provided), and often an invitation for the children to write a prayer response on a slip of paper. 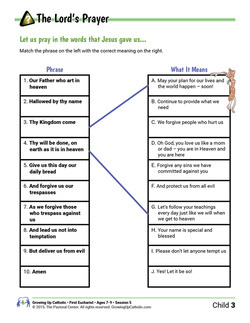 Each session includes multiple learning activities, which engage the children in understanding what the sacraments mean and how they guide the way we live our lives. 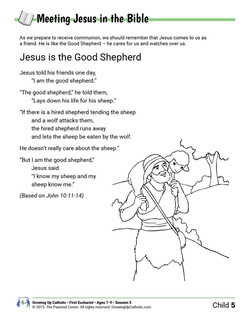 Grade school pages offer a Scripture passage in words that the children can understand. They get to read it and then retell the story in their own words. Middle school pages have a longer passage using the NRSV translation. 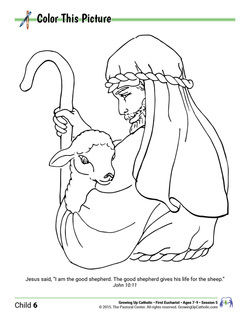 A coloring or drawing page is included in the grade school pages, and is both a chance for a break and a little family bonding time. We tell parents not to be afraid to put their arm around their child, and this can be a sweet time for parents. Middle school pages has a more age-appropriate activity. 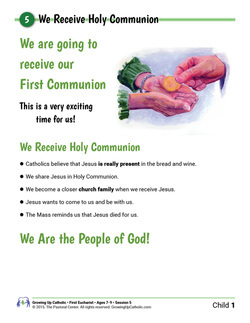 Sessions usually include a review page to revisit concepts and go deeper in understanding the sacrament. 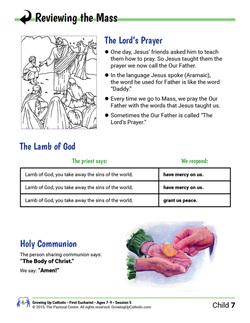 Each session handout ends with an "At Home" page, where families commit to completing one or more activities to further their learning and create loving, Catholic households. We want to encourage them to pray, read the Bible, have supper together, and learn more about their faith! Sessions don't end with the handouts, but extend into homes and the week. Each session has its own custom web page with exactly what they need. A brief review of the material from the associated session. A reminder of the family action plan and resources to support it. Additional learning specifically for the parents. Engaging media such as videos or music. 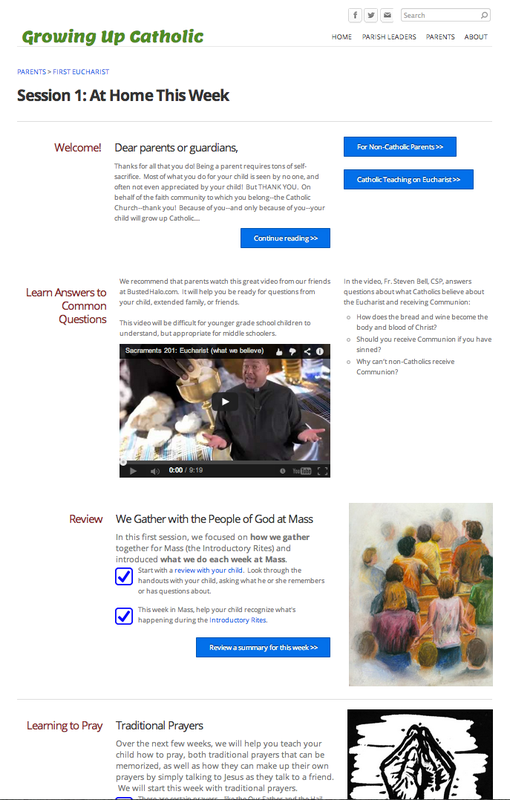 Links for digging deeper and learning more based on parents' needs or interests.